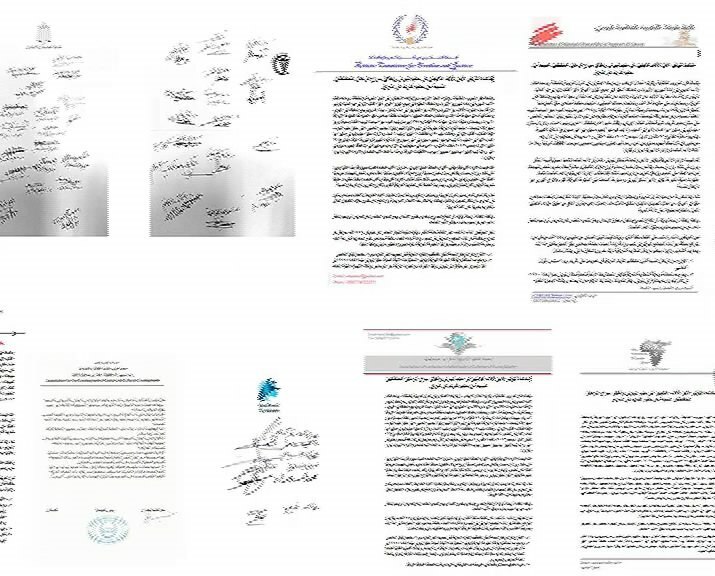 Over 2.5 million citizens from 18 Arab countries signed statements calling for the safety and security of Iranian opposition members in Iraq. They strongly condemned Iranian regime’s meddling in Arab countries that have continued non-stop under Rouhani’s presidency. The statement was announced on March 17, 2014, by Lawyers Union for Democratic and Legal Studies in a press conference held in Cairo. 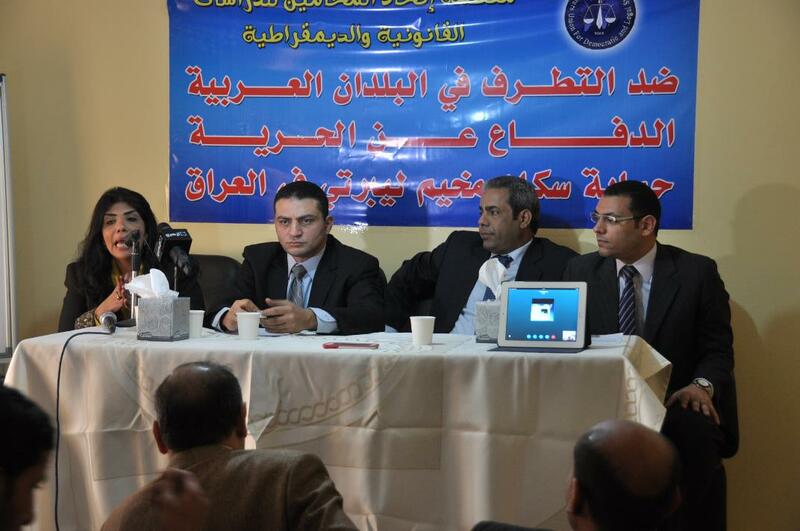 Shadi Talat president of The Lawyers Union for Democratic and Legal Studies, Egyptian MP Atefe Mikhalif, Dr. Waleed Farhat head of the Association of Egyptian Lawyers in Defense of Ashraf Residents, and Mrs. Jaylan Jaber Egyptian writer, also delivered speeches in this press conference. Up to 60 parties, organizations, unions and associations in various countries were very active in this campaign. The signatories of this statement include people from Egypt, Syria, Jordan, Libya,Algeria, Saudi Arabia, Palestine, Sudan, Kuwait, Morocco, Yemen, Tunisia, Oman,Qatar, Lebanon, United Arab Emirates, Bahrain and Mauritania, in addition to 127 MPs from Arab countries, jurists, university professors, physicians, engineers, women, dignitaries and human rights activists. This statement reads in part, “The Iranian regime is spreading fundamentalism and supporting terrorist groups; provoking sectarian warfare; created instability in regional countries and especially backing the bloodthirsty Assad regime in his massacre of the innocent Syrian people;flagrantly meddling in all of Iraq’s affairs; helping create divisions among Palestinians”, and “all of these measures and their results are the main elements behind spilling the blood of hundreds of thousands of innocent people and displacing millions of people in these countries”. Nearly 3,000 Iranian refugees, members of opposition organization People’s Mojahedin Organization of Iran, are stationed in Camp Liberty near Baghdad airport. For 25 years these Iranian refugees have lived in Camp Ashraf, north of Baghdad, where Iranians have built with their own hands. defenseless refugees being killed and over 1,350 others wounded. In the massacre of the remaining residents in Ashraf on 1 September 2013, seven residents – including 6 women – were abducted as hostage. There is no news of these hostages. As emphasized on numerous occasions by the US and UN, Camp Liberty residents are protected persons under the Geneva Conventions, and ‘persons of concern’ as stipulated by the UNHCR. The signatories of this statement emphasized the responsibility of the US and UN regarding the safety and security of Liberty resident refugees, and called on the US and UN to take “practical measures to provide Camp Liberty residents’ safety and security”, including ending the Iraqi government’s obstructions and preventing the delivery of providing Liberty residents basic humanitarian needs and protection necessities, and also imposing pressure on the Iraqi government to “release the seven abducted hostages”. The signatories also confirmed the positions of over 2 million and 155 thousand Iraqis supporting Liberty residents’ rights. Over 2.5 million Arab citizens stressed the necessity for the International Criminal Court to conduct an independent and transparent investigation on crimes against humanity in Ashraf.